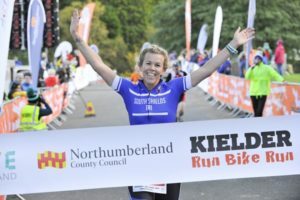 South Shields Triathlon Club are newly founded and fully affiliated as at 2017. The club is a branch of South Shields Harriers as athletes wanted to diversify into different sports. The range of disciplines a triathlon offers, provides the community with an opportunity to take part in swimming, cycling and running. These events can be done in various distances from Super sprint to Ironman distances. Welcome to South Shields Tri - this is our new promotional video showcasing our club and the types of things we do. Give it a watch and if you like what you see, why not pop down to one of our sessions and give it a 'tri'! Join the team and discover a new passion for multi-sports.